We apply conventional heat and mass transfer techniques to Biomass Conditioning, Torrefaction and Municipal Solid Waste – MSW – Processing. While landfill gases are relatively high level inputs toward a marketable biofuel, most organic feedstocks must pass through a series of drying and pre-treatment stages according to the intended product. Current emphasis is falling upon municipal solid waste to yield acceptable biomass conversion rates, whilst addressing disposal and public health issues. Biomass drying and biomass explosion stages are frequently close to the front end of these processes. Derivatives of basic biomass conditioning processes include SynGas (a mixture of carbon monoxide, carbon dioxide & hydrogen), biomethane and other methane-based products obtained from anaerobic digestion and landfill extraction. They are all classed as biogas, which may be consumed directly or passed to a biofuel plant for refining and conditioning. They are impure mixtures and not readily transportable but may be consumed on-site and directly linked to the application – usually i.c. engine-generators - from which power is exported to the Grid. There is present emphasis on converting the 55% organic content of Municipal Solid Waste into biofuels or industrial chemicals. 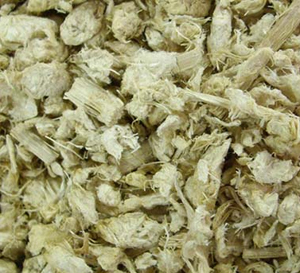 Cellulose-based material is preconditioned by biomass explosion, torrefaction, catalysis or simply conventional biomass drying, according to the route taken. It is then broken-down to form sugars by enzymatic or acid hydrolysis. Alternatively, ethanol may be derived from SynGas. Dove Thermal is linked with various programmes for the refinement of plant and equipment serving the conversion chain: biomass drying and pre-conditioning processes, biomass steam explosion, hydrolyzation and ethanol extraction stages, and complete biofuel plant installations. We have our own patent-ready developments for continuous and batch-continuous biomass steam explosion systems, and are seeking inward investment and partnering arrangements for the construction of commercial demonstration biofuel plant. Our high speed thermodynamic valves for accelerated steam explosion and blow-off have radically improved food processing techniques.